Multi-line insurance agency, BMCC Insurance, adds GMAC Insurance, CNA Property and Casualty and Infinity Auto Insurance to their line-up of companies. Leading west coast insurance agency, BMCC Insurance, has added three new insurance carriers to their portfolio: GMAC Insurance, CNA Commerical Property and Casualty and Infinity Auto Insurance. 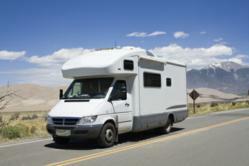 BMCC will write auto, motorcycle and RV insurance through GMAC. Infinity Insurance will provide both personal and commercial auto insurance. Infinity Insurance also offers policies for people who only have an out of state license, as well as those who have an out of country license as well. This of is extremely beneficial to new immigrants as well as to foreign citizens who come to the U.S. for contract work. CNA Commercial is the 7th largest U.S. commercial insurer and writes insurance that covers virtually every need of a commercial entity. BMCC Insurance now represents over twenty A-rated insurance companies to help their broad customer base which predominantly covers the western United States. BMCC Insurance is licensed in 48 states and looking to be in all 50 by the end of 2012. The company has hired personal and commercial insurance agents, customer service representatives and other support staff to not only handle the current level of business, but to be ready for the anticipated growth, in order to provide the best customer experience possible.